It has long been clear that Iran’s domestic political power struggle impedes prospects for any diplomatic breakthrough on the nuclear standoff — just a year ago, a confidence-building fuel swap agreed between Western and Iranian negotiators in Vienna was shot down in Tehran by conservative and reformist rivals to President Mahmoud Ahmadinejad. But U.S. domestic politics too may be coming into play to restrain President Barack Obama from embracing a deal reportedly being discussed with the Iranians by European negotiators. The Senators’ letter followed a statement made by Secretary of State Hillary Clinton the previous week that seemed to indicate a change in the U.S. negotiating position. 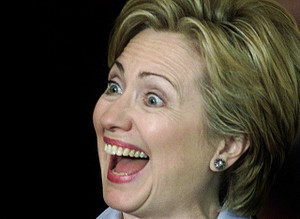 She suggested that a diplomatic solution would include Iran exercising its right to enrich uranium for peaceful purposes, once it had “restored the confidence of the international community” that its program had no military objective. “They can enrich uranium at some future date once they have demonstrated that they can do so in a responsible manner in accordance with international obligations,” she told a BBC interviewer. The U.S. secretary of state had a rare chance to interact with Iran’s foreign minister at a Bahrain security conference, which Clinton used to deliver a message to Tehran on the need to engage with the international community over its nuclear program at next week’s talks in Geneva. But while Clinton’s keynote speech from the podium directly addressed the Iranian team led by Foreign Minister Manouchehr Mottaki, her attempt at a more personal diplomacy with Mottaki fell distinctly flat. “I got up to leave and he was sitting a couple of seats down from me and shaking people’s hands and he saw me and he stopped and began to turn away,” Clinton told reporters on her plane returning to Washington on Saturday. 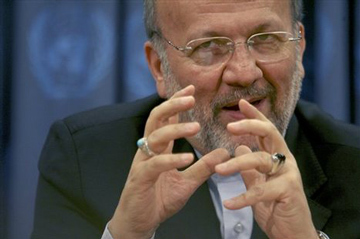 Intelligence Minister Heydar Moslehi made the allegation two days before Iran is due to resume talks with world powers seeking to resolve a long-running row over Tehran’s atomic work. “The IAEA has been sending spies working for foreign intelligence organizations among its inspectors, and it should be held responsible,” Moslehi was quoted as saying by state broadcaster IRIB. He was referring to IAEA inspectors who visit Iran regularly to monitor its atomic activities. The IAEA had no immediate comment on the allegation. Moslehi repeated allegations that the intelligence services of Britain, the United States and Israel were behind the murder of an Iranian nuclear scientist this week. Those who are waiting for a breakthrough in Geneva Talks are delusional. Bill Clinton was so distracted by the Monica Lewinsky scandal that he lost a card containing launch codes for America’s nuclear arsenal. Gen. Hugh Shelton, who commanded the U.S. military during the Clinton administration, has revealed that the president lost the crucial codes needed in order to launch a nuclear attack. Nuclear sharing is a concept in NATO’s policy of nuclear deterrence, which involves member countries without nuclear weapons of their own in the planning for the use of nuclear weapons by NATO, and in particular provides for the armed forces of these countries to be involved in delivering these weapons in the event of their use. As part of nuclear sharing, the participating countries carry out consultations and take common decisions on nuclear weapons policy, maintain technical equipment required for the use of nuclear weapons (including warplanes capable of delivering them), and store nuclear weapons on their territory. The United States has provided weapons for nuclear sharing, as of 2009 Belgium, Germany, Italy, the Netherlands and Turkey are still hosting U.S. nuclear weapons as part of NATO’s nuclear sharing policy. There are thought to be around 250 tactical nuclear weapons in Europe, installed during the Cold War period, and most of them are stockpiled at U.S. bases in Italy and Turkey. Turkey has quietly held NATO tactical nuclear weapons since the Cold War. Removing them will be a critical step towards a safer world. But it won’t be easy. 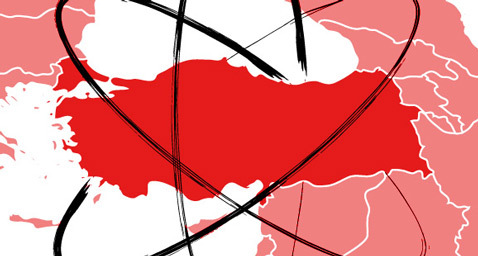 Removing tactical nuclear weapons from Turkey will be difficult, but not impossible. In order to move towards a world free of nuclear weapons, U.S. policy makers have to start thinking about how things are connected. Countries like Turkey rely on nuclear weapons for political and security reasons while Turkey’s prime minister says the world is turning a blind eye to Israel’s nuclear program. Turkey’s role in the nuclear black market has been well documented, though poorly reported in the US. Turkey acted (and may continue to act) as both a manufacturing base for nuclear hardware, as well as a trans-shipment point for goods on their way to the end-customers such as Libya, Iran and Pakistan.